Direct, blunt, and brutally honest, Grover breaks down what it takes to be unstoppable: you keep going when everyone else is giving up, you thrive under pressure; you never let your emotions make you weak. In “The Relentless 13,” he details the essential traits shared by the most intense competitors and achievers in sports, business, and all walks of life. Relentless shows you how to trust your instincts and get in the Zone; how to control and adapt to any situation; how to find your opponent’s weakness and attack. Grover gives you the same advice he gives his world-class clients, “don’t think” and shows you that anything is possible. Tim S. Grover is the preeminent authority on the science and art of achieving physical and mental dominance. Since 1989, he has been the CEO of Attack Athletics, appearing around the world as a keynote speaker and consultant to business leaders, athletes, and elite achievers in any area who want to know how the best can get better in anything they do, teaching the principles of relentless drive, result-driven performance, and mental toughness. A featured columnist at SI.com and Yahoo.com, he also appears regularly on ESPN and other media outlets. He is the author of the national bestseller Relentless: From Good to Great to Unstoppable and creator of digital training platform “The Relentless System.” He is based in Chicago. "I consider Tim Grover to be second to none in his knowledge of sports training, and he was an invaluable part of my training program. 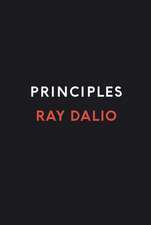 He is a take-charge person, with a deliberate but energetic and enthusiastic technique." "Tim Grover’s insight into leadership and excellence has taken the greats to the top, and his book will do the same for you. Relentless is about breaking the rules that hold you back and trusting your instincts to take you where you want to be." "In all the years that I coached, inspired and trained world class athletes there was no better resource to collaborate with than Tim Grover." 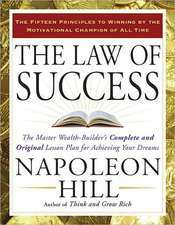 "If you compete at anything--sports or business or life--you need this book. No one knows more than Tim Grover about competitive intensity, killer instinct and crushing the other guy. He is the best at what he does: Creating champions." Straight up. 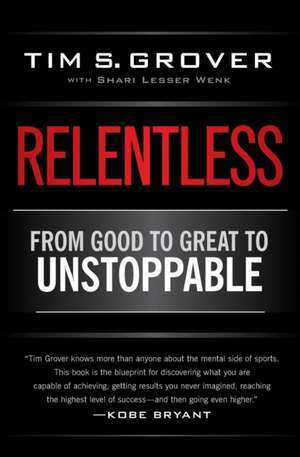 Relentless...is one of the best books I've ever read.